Soon, you will be able to use WhatsApp as a business tool to talk to WhatsApp users directly. Currently, the Facebook-owned messaging service used by more than 1 billion people worldwide, is reportedly testing the system. According to the report, the company was in touch with businesses so as to finally start earning revenues out of its massively popular IM application. The plan involves businesses directly getting in touch with users of WhatsApp. 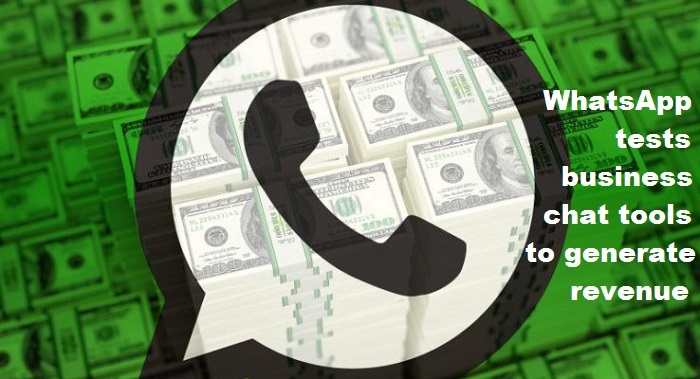 The Business tool option from WhatsApp is part of plans to make money from its massively popular service. WhatsApp has not developed a business model in the three years since Facebook Inc bought it for a hefty $19 billion. The policy shake-up — with an option to deactivate — will allow companies to send messages that many people now receive by SMS. WhatsApp plans to test these new services, such as fraud alerts from banks, customer support tool for its users as well as updates from airlines on delayed flights, in the next few months. Reuters reports that WhatsApp struck a deal with Y Combinator last month, which provides training and advice to startups that show potential, to have a small number of companies take part in an early trial, according to emails and messages posted on a Y Combinator forum. It is said that WhatsApp is also taking a small survey among users to ascertain if they have received spam messages from businesses before. This will be crucial to get users on board the idea of using the service despite some business-oriented features being added to the mix. But the company said it would not put so-called banner adverts in messages. It reiterated that its end-to-end encryption meant it did not have access to the content of messages nor did it regularly store metadata on who contacts whom. In return for the ability to talk to their customers, businesses will have to pay a nominal fee to WhatsApp. It sounds pretty simple at the moment, but WhatsApp still has to iron out a few things before things become official.